you may feel you just need to see your angel. an ANGEL PORTRAIT and MESSAGE experience up close and personal. with a CD of personal messages from YOUR angel just for YOU. be absolutely unique for you. No two angel paintings will be the same. 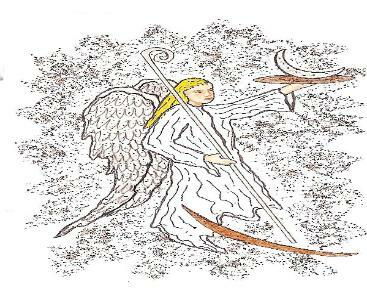 Joan lovingly paints your angel just for you when you place your order. size is 11" wide x 14" long. them the gift of an angel painting. To order simply fill out the form below and mail to Jayne at the address given.